How E-cig UK regulation is set to change the way you vape. Are E Cigarettes Safe? What are e cig side Effects? A large zip case for carrying all of your electronic cigarette products. Stay updated with CigElectric to enjoy our special promotions! 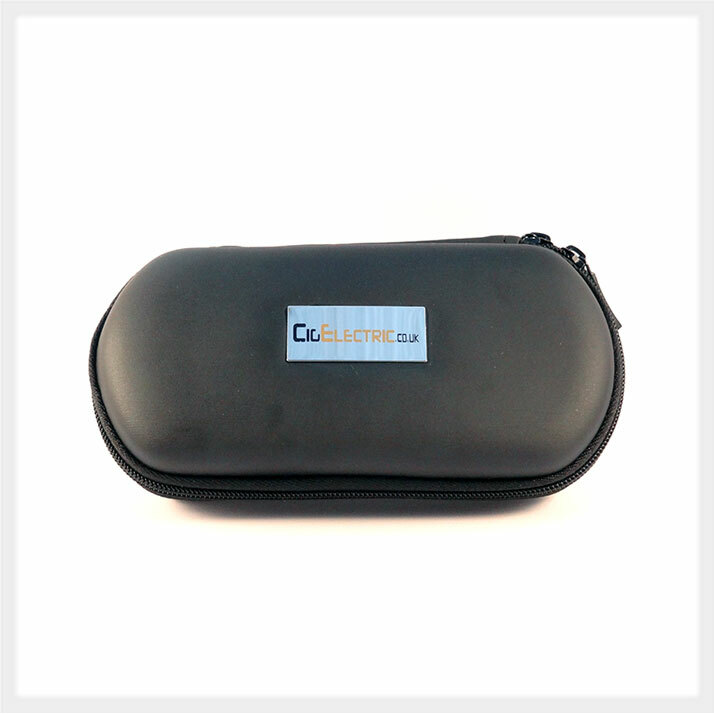 This large zip case is perfect for carrying all of your electronic cigarette batteries, atomizers, e-liquid and accessories. It is wider than a standard case allowing more space for all your gear. 2 elasticated bands for your batteries / atomizers and 3 netted pockets for everything else! More than enough space to keep you stocked for the day and beyond. This zip case comes in a matt black colour with a sturdy zip and chrome CigElectric label. You must be 18 years or older to purchase any products from CigElectric. Nicotine in its pure form is a poison and must be kept away from children, animals and pregnant women. All nicotine cartridges and fluid must be kept in a safe place. If ingested by a small child medical assistance should be sought immediately. We are not a pharmaceutical company and we do not sell medical products.